Let's talk about freaking rockstars for a second- Nick plus Danee, YASSS. 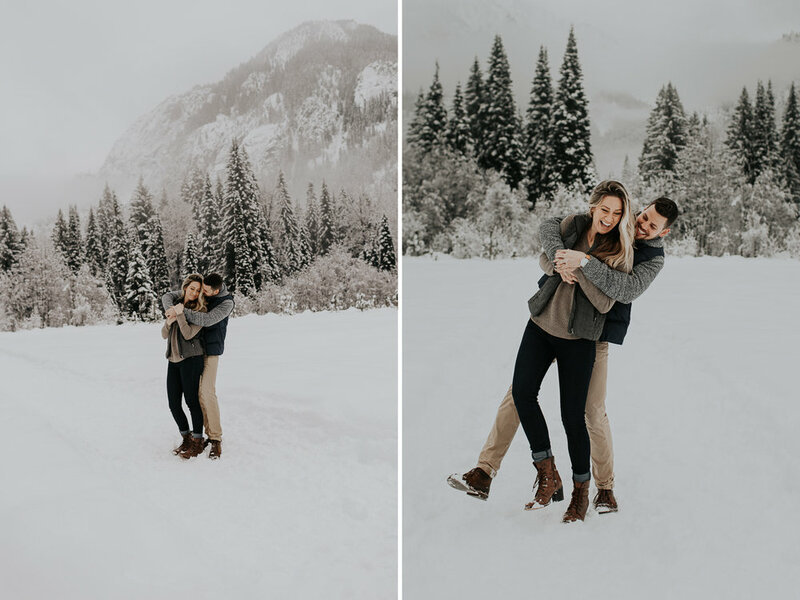 Not only are they fellow rad and amazing photographers (check them out, say hey) But they literally spent like many hours in the snow for this shoot, rolled around, snuggled, kissed, never complained, and looked freaking great doing it. I LOVED how playful they were. When I'm shooting couples, I'm always trying to get them to move and interact with each other. Notice there aren't a ton of photos here of them facing me and smiling (are there even any?) and that's exactly how I LOVE it. Keep it fun, keep it playful, keep it YOU. Thankful for gorgeous humans like this!